With a magnificent seven signings having already been made, and possibly a couple more to come, we all have our ideas as to who should make the starting eleven for the first fixture of the 2018 / 2019 season. But, as we all know, that decision will be taken by our new boss, Manuel Pellegrini, who will have closely monitored both in training and in the friendly fixtures the array of players he has at his disposal. However, with time on my hands this Sunday morning, I’ve been visiting quite a few of the social media network sites that many supporters frequent on a regular basis. On one, there was, what I thought, a very pertinent poll. 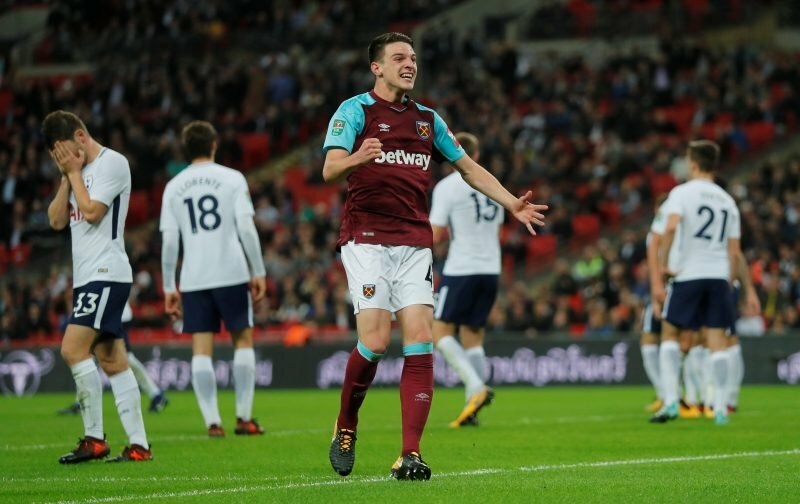 If you could only play @_DeclanRice in one position this season what would it be? I am genuinely torn! At the time I used my vote, the voting was very one-sided with 88% believing that Declan’s best position is as a defensive midfielder. Is this a view you concur with? Please feel free to drop your views into the comments facility beneath this article, they would be most welcome. Declan Rice is talented enough to do either, but after watching the warm up matches I feel it will be defensive midfield that suits him best. Now get his contract sorted !! Defo DCM. Looked comfortable in centre at Ipswich when he came on but combined well down the left flank during run in last season too. Natural DCM with an eye for counter attack. Incredible at such a young age. I think at the moment CDM out of necessity, if we had a good CDM already or bought one then i´m sure most people would say CB!! As after all that´s the position he´s more experienced and comfortable with and also he won runner up in the hammer of the year playing CB..! !